This allergy therapy is a technique proven worldwide which is used in exclusive allergy centres and the Hong Kong Sanatorium. It is proven to be as effective as other allergy treatments such as shots, but is faster, painless and has fewer side effects. No more than 3-5 treatments per allergen necessary. Both food allergies and environmental allergies are caused by overproduction of immune cells – these immune cells are called “IgE antibody”. Allergy reactions and symptoms often present themselves within two hours. 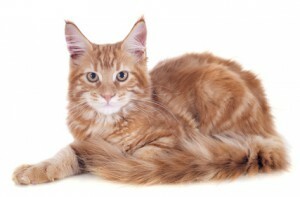 These allergens can vary from house dust to cat hair. The body treats normal substances, such as milk, as though they’re a foreign, dangerous thing like a virus, and produces antibodies. Your allergy will be diagnosed by a simple blood test or scratch test, which involves dropping a special solution on your arm, then a gentle pin prick. We can then diagnose you for any environmental allergies such as house dust mite allergy; cat allergy; mould allergy; tree allergy, as well as multiple food allergies. If there is an allergic response to the scratch test, it will appear within 15 minutes as a red raised area surrounding the puncture. Up to 100 foods can be tested on a finger-prick of blood. Food intolerances are more common than food allergies and are due to an excess of IgG antibody. They can occur up to 72 hours after eating foods and are more vague in nature than food allergies, but can still have a significant impact on your quality of life. Food intolerances can contribute to digestive discomfort, joint pain, obesity, headaches, and many other uncomfortable symptoms. Diagnosing them can be critical to clearing up long-term issues. Dr. Jamieson will treat your allergens using natural immunotherapy drops, and combines this treatment with her naturopathic training to help support your body during this process. Once the allergic substances have been determined, you will receive the in-office administration of natural immunotherapy drops. Placed under the tongue, very small does of the allergen are gradually given in increasing concentrations. This allows your body to recognize the allergens as harmless substances so it no longer produces an allergic reaction. This technique is proven to be as effective as allergy shots, but is faster, painless and has fewer side effects. Once diagnosed with food intolerances, Dr. Jamieson will work with you to heal your digestive system by using a combination of specialized nutrition and neutraceuticals (natural medications that are as effective as drugs without the side effects). How many allergens can be desensitized in one treatment? 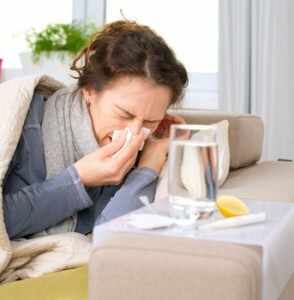 Up to 3 different allergens can be treated in one visit. Patients usually need 3-5 visits per allergen to gain a comfortable tolerance to the allergen and a significant reduction in symptoms. Do not take any antihistamines for 48 hours before or after the treatment as this can interfere with results. No food or drink for 30 minutes after the appointment, and avoid the allergens for 2 days after the treatment. Is it safe for children, pregnancy, and breastfeeding? Absolutely. The treatment is especially effective for children since there are no needles (the scratch test still uses a tiny needle). There is an extremely low risk of side effects and works very quickly. Studies have shown first time treatments during pregnancy to be very safe. During breastfeeding, you can share your gained immunity with your baby.